Death and humans’ response to it have long held the power to bind cultures together and create places that transcend time and custom. Our collective respect for the dead and where they are laid to rest reaches across cultures like few other human experiences. It is the commonality of this reverence that guides the creation of Yarauvi, a necropolis at the center of the Dead Sea. Yarauvi is a place where any person—regardless of nationality, race, religion, age or affluence—can be laid to rest. 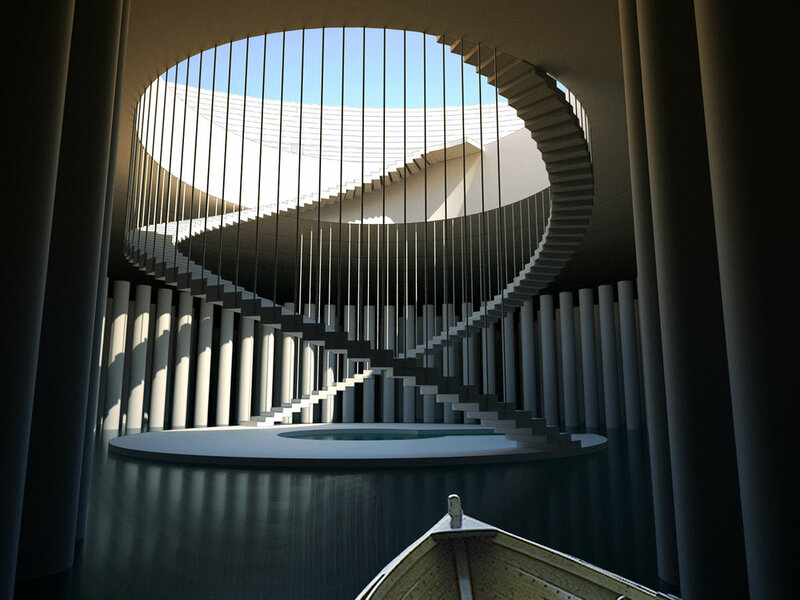 By choosing this site as a final resting place, any citizen of the world can contribute to a growing monument to tolerance, reconciliation and unity. 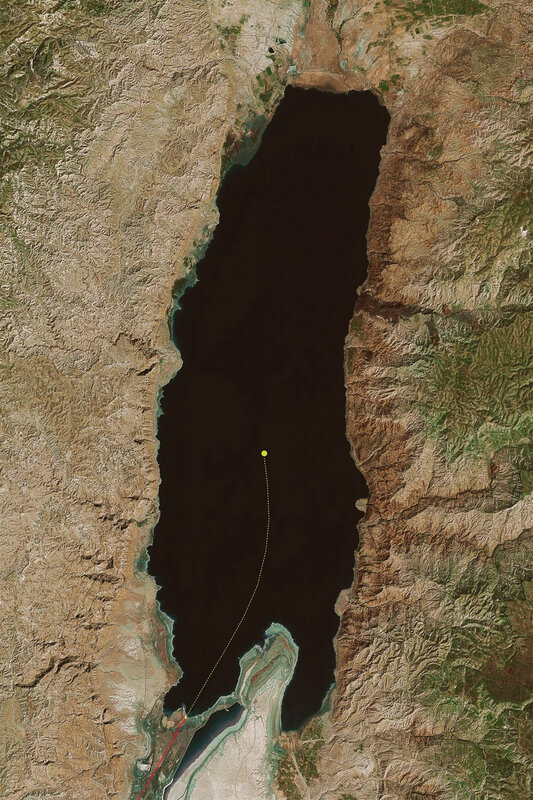 Families will bid farewell to their loved ones from a dock at the southern banks of the Dead Sea. From there, the dead, accompanied by a few mourners, will be transported to Yarauvi by boat. The boat enters the necropolis at its base and travels through a ceremonial unicursal labyrinth that leads to the center point of the necropolis, where the dead are lifted to the space above. The accompanying mourners will also enter the necropolis this one time, during the interment of their loved ones. 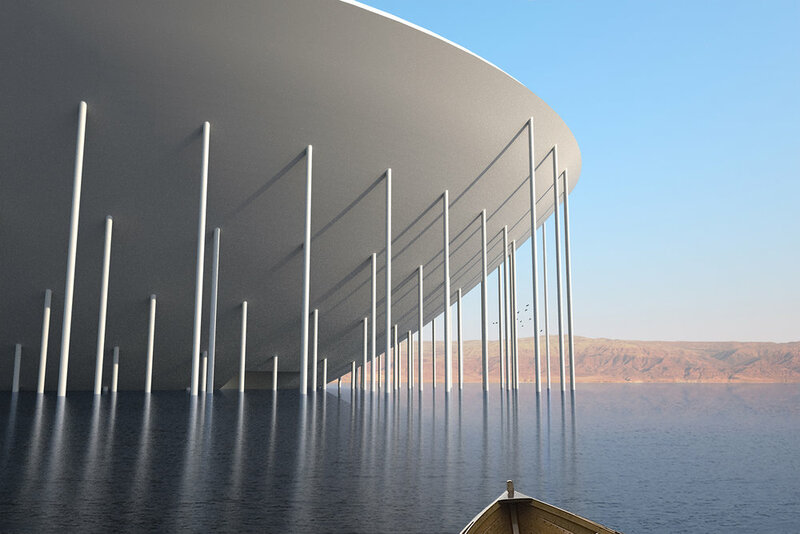 The necropolis is a parabolic structure of concentric rings supported on a raft-like armature below the water line, which allows it to float in the buoyant salty waters of the Dead Sea. 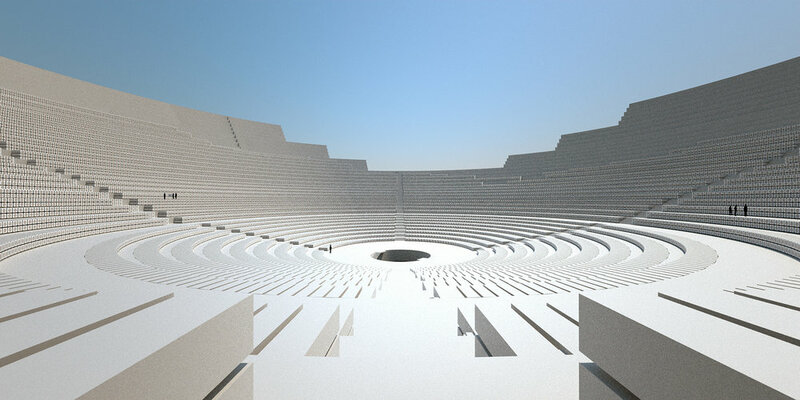 Inside, the necropolis is a bowl-shaped space open to the sky. Individual sarcophagi will progressively fill the stepped structure, laid out in a concentric configuration facing one another.